Bitcoin’s emergence has seen an incredible amount of speculation about its price. However, the further adoption of Bitcoin as a viable means of payments and acceptance among merchants is what will drive it into the next phase of its development. Despite Bitcoin’s on-chain structure functioning more of a high-value settlement layer than payments network, numerous merchants already accept Bitcoin as payment. Further, the proliferation of the Lightning Network (LN) — Bitcoin’s second layer payments network — is already showing signs of becoming the scalable infrastructure that Bitcoin needs to function as P2P digital cash. Lightning apps (called Lapps) are rapidly emerging, and their integration with merchants — along with the continued growth of the network — should help expand Bitcoin’s adoption. With so much speculation surrounding Bitcoin, it’s worth evaluating what you can buy and transact with in Bitcoin for regular, everyday transactions as well as some more fringe use cases. Outside of the characteristic advantages of being able to send Bitcoin to anyone with a Bitcoin wallet with minimal fees and no intermediaries, there are multiple merchants that accept Bitcoin as a legitimate alternative payment method to fiat currencies for goods and services. From the merchant standpoint, inherent advantages of Bitcoin include reduced transaction fees from major payment network cards, broader market access, and final settlement without chargebacks. Several travel platforms that accept Bitcoin payments for booking flights, hotels, and more include Expedia, CheapAir, and BTCTrip. BTCTrip is explicitly designed to find flights and make payments directly in Bitcoin. CheapAir actually accepts Bitcoin through BTCPay Server, a useful free and open-source, self-hosted payment server. You can even book future space travel tickets on Virgin Galactic’s future travel line in Bitcoin. Online retailers are where Bitcoin purchases have made their largest footprint so far. Major online retailers like Overstock and Bic Camera (Japan) accept Bitcoin payments directly. Further, Coinbase Commerce enables trivial integration of Bitcoin payments for major e-commerce platform websites including Shopify, WooCommerce, and Magneto 2, which constitute a vast number of ecommerce sites in the world. Gift card companies eGifter and Gyft also enable purchasing of gift cards in Bitcoin that are redeemable at Amazon and other major retailers. Finally, some sellers on Etsy — the homemade and vintage supply ecommerce platform — also accept Bitcoin directly. Looking to buy gold or silver in Bitcoin? Several companies provide that option too, including JM Bullion, GramGold, and APMEX. GramGold pegs their native coin to one gram of gold, and it can be purchased on exchanges like Kucoin with Bitcoin. APMEX accepts Bitcoin payments for gold under $250,000 and offers custodial services as well. JM Bullion even offers a 4 percent discount on gold and silver purchases with Bitcoin. Real estate — particularly luxury real estate — has emerged as another sector where Bitcoin can be used directly for purchases. Bitcoin Real Estate allows you to buy or sell your home directly in Bitcoin and lists properties worldwide for sale that can be purchased in the legacy cryptocurrency. Further, numerous real estate companies are accepting purchases of properties in Bitcoin, citing the growing demand for younger investors to pay via alternative methods. The direct, transparent, and final nature of Bitcoin transactions also makes it a widely accepted means for donating to charities. Bitcoin Wiki provides a comprehensive list of charitable organizations that accept Bitcoin donations, including Fidelity Charitable, the Human Rights Foundation, and the Binance Charity Foundation. Other services — like BitGive — are charitable non-profit organizations soliciting donations in Bitcoin as well as USD. Charitable organizations — like the Binance Charity Foundation — are also leveraging the blockchain for auditability and transparency of donations in an attempt to overcome many of the problems associated with the inefficient dispersion of donated funds. With the help of Blockonomics, WordPress has also helped facilitate the integration of cryptocurrency payments — including Bitcoin — into their ecommerce sites using WooCommerce. WordPress accounts for 32 percent of websites on the Internet and it provides step-by-step instructions on how to integrate your ecommerce store with Bitcoin. Some other online services that accept Bitcoin are NameCheap — a domain registrar — and ExpressVPN — a popular VPN service for multiple devices. The Dallas Mavericks are set to accept Bitcoin payments, and the Sacramento Kings have been accepting Bitcoin since 2014. Further, the Kings even mine Ethereum to fund tech scholarships. Luxury goods have also arisen as a popular area for accepting Bitcoin payments from high-end cars to opulent jewelry. Post Oak Motors accept Bitcoin payments via BitPay for Bentley’s, Rolls Royces, and Bugatti’s. BitCar even allows for fractional ownership in vehicles, and private dealerships in Orange County allow customers to purchase Lamborghinis in Bitcoin. AntwerpOR accepts Bitcoin payments for diamonds and other jewelry online. In light of recent developments in Ohio, businesses can now pay a variety of taxes directly in Bitcoin. Ohio is the first state to officially implement Bitcoin payments for taxes, and companies need to register with the Office of the Ohio Treasurer. Other states have also been considering similar Bitcoin-enabled tax payments, including Arizona, Illinois, and Georgia. However, it is unclear whether or not the proposed initiatives will be passed at this point. Adoption of Bitcoin for online purchases has mostly been confined to on-chain Bitcoin transactions as the LN is still developing and transitioning to a more mature and user-friendly technology. However, new projects and developments within the LN space are seemingly popping up every day, with some focused on providing viable LN-enabled payments for merchants and others testing out the network’s features with small games and applications. CoinGate offers a merchant payment gateway that is Lightning-enabled. Similarly, Bitrefill is working on a new project — Thor — to make accessing and using the LN much simpler for mainstream users. Bitrefill allows users to buy vouchers and gift cards directly in Bitcoin and other cryptocurrencies as well as top off prepaid phones and bills. The Elements Project from Blockstream also provides a c-lightning implementation for a WooCommerce plugin, enabling users with WooCommerce ecommerce online stores to accept lightning payments. Lightning Charge — built on top of c-lightning — is a drop-in solution for accepting lightning payments as well. Finally, BitcoinLightning.shop is an online store that is lightning-compatible, offering a range of products and built with BTCPay Server and the c-lightning WooCommerce plugin. Small games are typically some of the first applications to emerge with a novel technology, particularly a payments network like the LN which can facilitate instant micropayments. The most prominent game that blossomed into one of its first well-known projects is Satoshi’s Place, a lightning-powered graffiti artboard where users buy pixels with satoshis — the smallest unit of payment in Bitcoin. Other games include BitQuest — the first Minecraft server that is cryptocurrency-compatible and supports lightning payments — and Hammerland — an RPG game that uses the LN for in-game payments. Several other LN apps have also emerged recently, such as EClair’s Scala implementation Starblocks — a virtual coffee shop — and tipping tools such as the Slack Tipbot and Elaine Ou’s twitter bot. The Lightning Desktop App from Lightning Labs and Zap wallet by Jack Mallers are popular full LN implementations available to users today. The Zap wallet is designed as a user-friendly wallet, and is compatible with mobile devices as well. 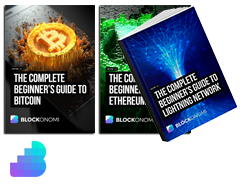 You can find a comprehensive and evolving directory of Lightning Apps from the Lightning Network Developer community here. Bitcoin’s volatility currently makes it a hard sell for many merchants to accept it as a viable means of payment. However, there are myriad merchants, services, and online games that already accept Bitcoin payments, and the list is growing. The Lightning Network’s further development and enormous design space should also help garner acceptance by more merchants as useful and fun applications continue to materialize. Great to see more nonprofits accepting crypto recently. Big boost for adoption and think more blockchain projects should be partnering with nonprofits.